Weekend round up - The Foldable Tab and Airtel 10.5GB Data for N1,500 #everywherestew. 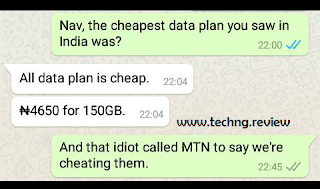 Amidst stew and controversies with Jollof being neglected in the sidelines and more, before we move straight on to the airtel goodie, I'd like to register my disgust at the act of a guy that called himself Mr. Charles, who called MTN to report the 5GB being given when some subscribe to the wechat data plan instead of 50MB. Why? 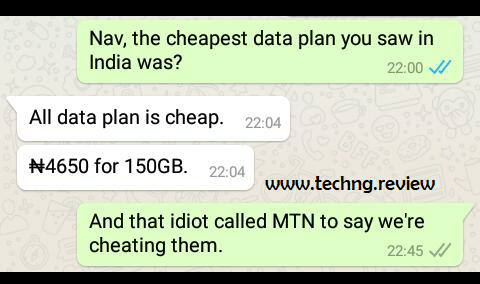 He obviously did not even do it because he cares about MTN, but like that twitter guy whom I do not even want to make mention of his name, he must have done it because it did not work on his sim. No, it did not work on mine either, but why am I so vexed then, check out the below picture to understand. Let me leave it at that lest I flog a pain. As clearly stated in the video, you'd get free 4GB data once you get on the 4G side of the network. Keep in mind that, right after Glo's 4G fiber optic network which can only be availed in few locations in the country, stats have been showing that Airtel's network is beating 9mobile to the fastness, now they are giving free 4GB on top of that!!! (plus, their network is rarely crappy). 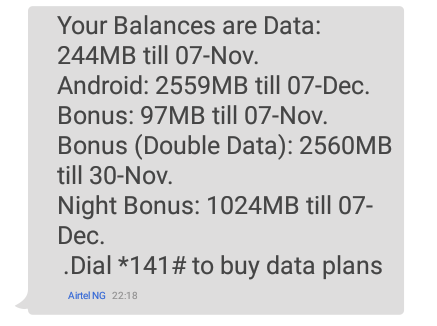 To get this 4GB, all you need is a 4G enabled phone, insert your newly acquired 4G sim or your previously 3G sim which you can easily upgrade at any KYC airtel center closest to you. Upon insertion, if your free 4GB data seems not forthcoming, wait until after you make your first call. But wait, that's not 10.5GB, right? Calm down, I know. Here we go. To acquire 10.5GB valid for 30days (The 4GB part is rumored to be of 7days validity), you would need to be on the smartConnect tariff plan. How do you know if you are on the smartCONNECT tariff plan? It is the default plan for all Airtel users, can't be migrated to, but maybe migrated from. So, simply put, you are on the plan if you've never migrated to a tariff plan before. In any case that you are somewhat confused as to if you've migrated before, simply dial: *121*3*5# and you'll see your tariff plan. 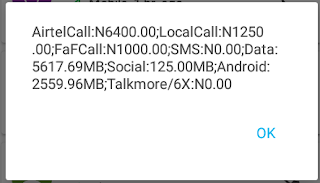 When done, if certain that your new 4GB sim is on the smartCONNECT 5.0, then you would have been sent a message that indicates that you will be receiving double data on your subscriptions for the next 3months, proceed to recharge N1,500 worth of airtime on the line, and you'll receive 8X worth of in airtime and data. For Airtel call and local calls + a couple of MB summing to hundreds. Now proceed to dial *141*1500# or simply dial *141# and follow prompts to subscribe for the monthly plan that normally gives 3.5GB for N1,500, but this time isn't normal. Below is what your sim will be packed with. Mine's looking this way because the sim isn't on a 4G phone, hence only 6.5GB acquired. And voila! That's it. if all written has been duly followed and criterions achieved, your sim just got 10.5GB richer! Meanwhile, in another news, Royole FlexiPai has released a foldable phone called the FlexPai. It features a 7.8-inch screen and measuring 7.6mm thin, equipped with a 16MP+20MP dual camera, and can reach 80% capacity with 60 minutes of charging.